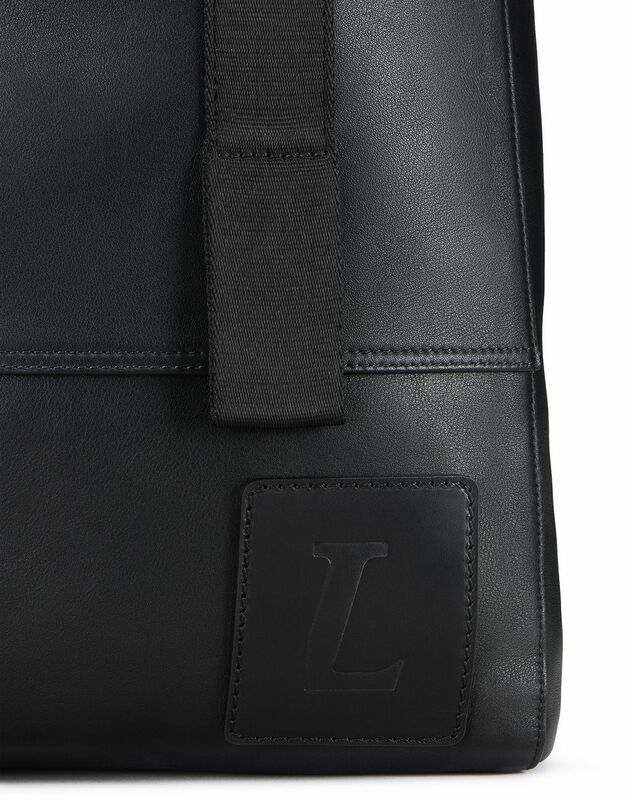 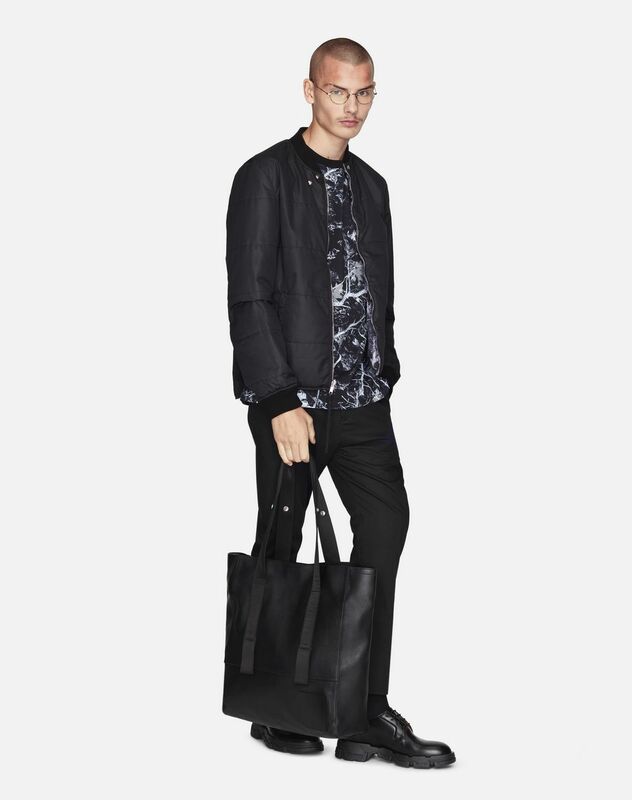 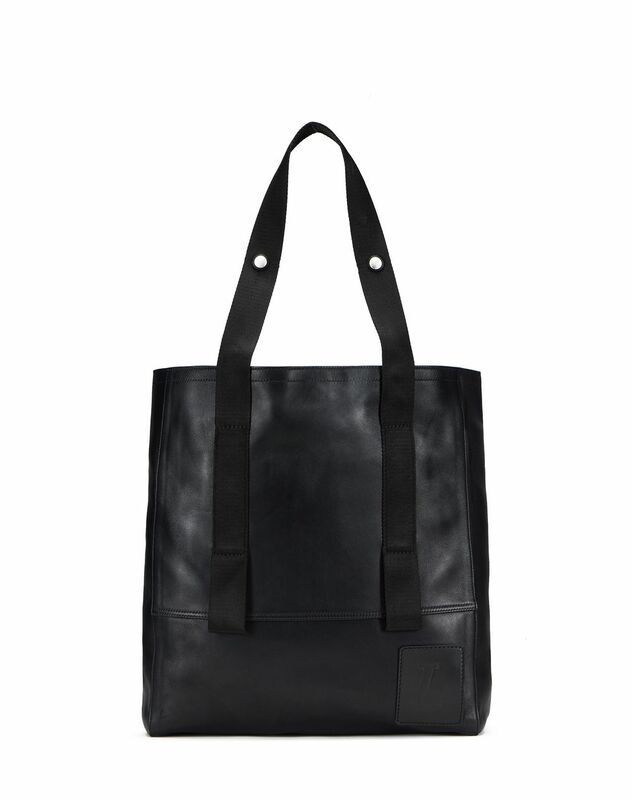 Black calfskin leather tote bag, exclusive “L” patch detail on the front, polyester strap, single press-stud fastening on the top, inside patch pockets, and exclusive Lanvin lining with printed logo. 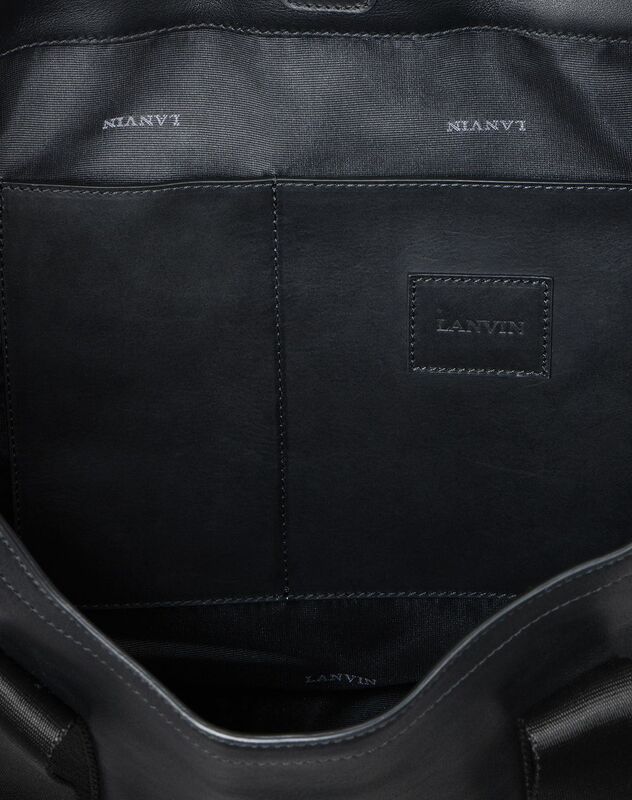 Presented as part of the Spring/Summer 2019 Pre-Collection, this black calfskin leather bag provides elegance and functionality to every man’s wardrobe. Whether used every day or on the weekends, this tote bag stands out as a must-have for the season.